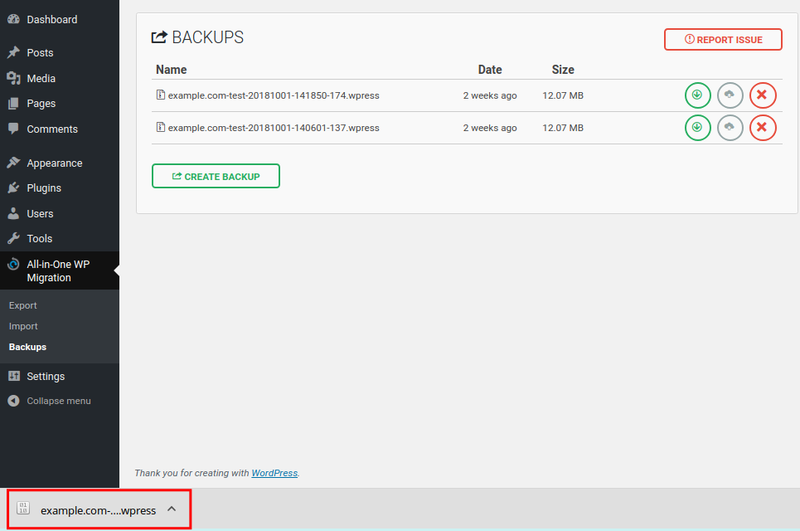 As we continue our series on the All-in-One WP Migration plugin, we will now show you how to download a WordPress backup. We recommend downloading backups when migrating your site and before software updates, or major website changes. This ensures you can quickly restore your website on the new server, or if a disaster occurs. One of the benefits of being an InMotion WordPress Hosting customer is that we can easily migrate over your existing website. Note: You must create a WordPress backup using All-in-One WP Migration before following this guide. 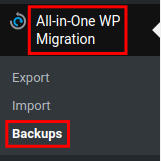 Click All-in-One WP Migration then Backups in the navigation menu. You will see all of your backups listed. Next to the backup you want to download, roll your mouse over the green circle. Click the Download button that appears. Your browser will then download the backup made with All-in-One WP Migration. Congratulations, now you know how to download a WordPress backup that was made using All-in-One WP Migration!